Function is a word that can rarely coexist relevantly with art. Through the past century of motoring, automobiles have been a prime medium for realizing the fusion required for great industrial designs. For 81 years, an Italian manufacturing and design specialist Pininfarina has harnessed forces of creativity, channelling their own shapes with either a design pad or through transferring another automotive designer’s vision into raw existence. Reminiscent to the toils of Leonardo Di Vinci bringing life to paintings, Pininfarina gives birth to some passionate automobiles that gain a special identity from any other form. Founded by an intrepid Italian Battista Farina, the man would soon become an Italian icon after adopting his nickname “Pinin” (meaning small in Italian) to his surname, establishing the company Carozzeria Pinin Farina in 1930. Granting Pininfarina’s great impact on some of the greatest supercars of all-time, the ink used to design those elite cars also stimulated the direct or indirect spectre for automobiles in everyday life. Pininfarina’s simplistic yet defining beauty is boundless featuring many significant moving art pieces. As the full size Pininfarina work continues to earn celebrated appreciation on the world’s roads, the artistic appeal of the Italian automaker’s vehicles is equally praised scaled die-cast form. An apprentice to his brother’s automotive body shop since the age of 11, the young Italian’s ambitions was motivated by a visit to the United States. Shaking hands with none other than Henry Ford, Battista Pininfarina exploration of auto manufacturing Mecca Detroit gave him perspective into developing coach building into a more modernized practice. Quickly identified by Italian automakers such as Lancia, Alfa Romeo, and Fiat, Pininfarina displayed fine artisanship along high volume output. The first Pininfarina design to be represented by sheetmetal was a special Lancia Dilambda sedan. Debuting at the Italian Concours d’Elegance at Villa d’Este, the Lancia Dilambda began what would be a nearly 20-year journey to gain notoriety. Among one of Pininfarina’s more provocative work during the pre-war era was the Lancia Aprilia Aerodynamica and the Alfa Romeo Pescara. Built using streamlined forms, these two vehicles foremost dismissed coach building practices for futuristic shapes. With the devastating war in Europe approaching, it would be several years later when those exercises would be fully exploited. Following the Second World War, Pininfarina would be presented with obstacles related to postwar politics. Based on the company’s Italian linage, they were not granted attendance inside the 1946 Paris Auto Show. Undaunted, Pininfarina and his son Sergio drove from Italy to Paris, France with two design creations. Setting up a makeshift display outside the exhibition parking lot, Pininfarina crashed the show garnering overwhelmingly positive reviews. Awaiting Pininfarina is much greater fanfare one year later fueled by a design that would become a modern art masterpiece. 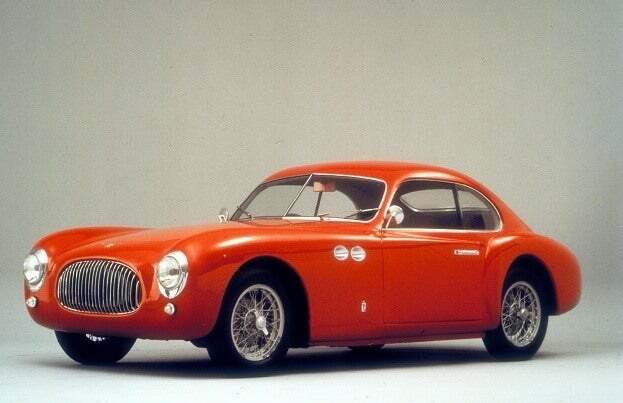 That vehicle was the Cisitalia 202 and revolutionized sports car style for decades. Arising from a tubular race chassis, Pininfarina channelled his past streamliner cars in harmonizing the Cisitalia into one flowing mass, carefully manicured aluminum panels. The result is a defining vehicle shape providing a constant sensation of speed, even when standing still. Of a mere 170 examples built, one Cisitalia 202 sits in the New York Museum of Modern Art. The earliest examples for Pininfarina’s motorized sculpture are as exotic in die-cast form as they are in reality with few mass produced miniatures. American die-cast manufacturer Sinclair’s Mini Auto has captured the beautiful Lancia Aprilia Aerodynamica in hard crafted 1:43 scale dimension. Less enchanting is the $225.00 price for this replica of Pininfarina’s pre-war design. As for the benchmark of modern performance designs, Starline Models have undertaken several 1:43 scale recreations of the Cisitalia 202 hardtop and convertible. Amongst Pininfarina’s most prized relationships was established with auto racing entrepreneur named Enzo Ferrari in 1948. More than 6 decades of threads, the pair has cooperated in creating 26 concept and production cars. While other designers would have the privilege to shape early Ferraris, a Pininfarina-designed 1952 Ferrari 212 Inter made a striking style statement of what can be expected through merging talents of two hot-blooded, Italian automotive men. 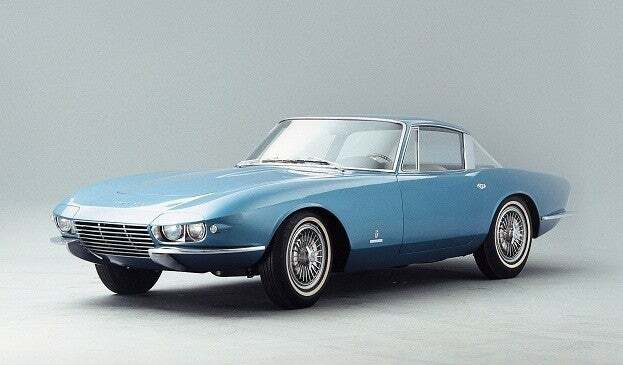 The first solely Pininfarina production model for the prancing horse was the Ferrari 250 GT short wheel base version released for 1959 model year. The long hood combined with the fastback roof made the car an ultra-sleek Italian shape. An Italian shape many top-flight automakers would replicate. As Enzo Ferrari’s dreams of an established sports car maker was realized, his regret was the early adulthood death of son Alfredo “Dino” Ferrari. Along with the corporate friendship, Pininfarina was commissioned to design a memorial to the departed Ferrari heir. Entering production in 1968, the Dino 206 radiated youthful charm and ambition. One of Ferrari’s more mass produced vehicles, the 206 became a significant model for the Italian sports car giant being their first mid-engined road car. A fitting legacy, the vehicle also incorporated a V6 engine the late Alfredo Ferrari helped developed. Though the Dino was associated with Ferrari, it would be until 1973 when the first official Ferrari was mid-engined. Being a large advocate for central engined sports cars, Pininfarina influenced Ferrari through the designing of the Dino and subsequent design studies like the Ferrari P6 concept car. This wedged-shaped design directly translated to the purely two-seat Ferrari BB 512. With the superior aerodynamics and a flat 12-cylinder engine Ferrari’s first forte into a mid-engined protection car was known to achieve 188 miles per hour. The Ferrari BB 512 would only remain impressive until what is arguably the most popular Ferrari ever. Introduced in 1984, the Ferrari Testarossa is a sensual sight bridging the earliest Ferrari sports cars with the latest. Defined partly with the wide stance, the Testarossa is quickly distinguished by two large sets of side ribs before massive air intakes serving as a necessity to feeding air to rear-mounted radiators. 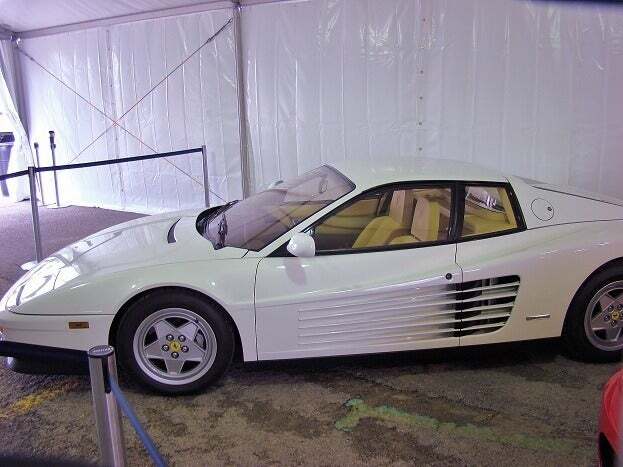 Accepted as one of the most commercially successful Ferraris ever built, Testarossa became particularly noted for appearing on the 80s television show Miami Vice. The Italian term for “redhead”, Testarossa, under the skill tailoring of Pininfarina, translates to a certified knockout in every language. 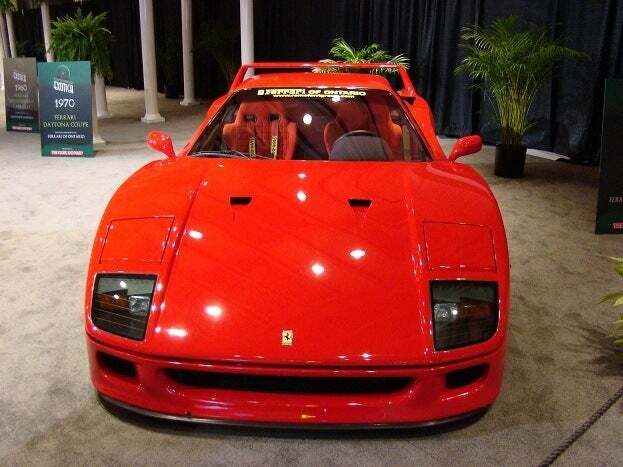 Beside the runaway success of the Testarossa, the Ferrari-Pininfarina relationship for the 1980s included an ultimate street-going Ferrari, the F-40. Radically for its time, Pininfarina used Kevlar and carbon fibers among eleven unique elements in formulating Ferrari F-40’s body panels. A moving tribute to 40 years of Ferrari production cars, the supercar is the last new Pininfarina creation Enzo Ferrari would green light. He died in 1988, months after being present for the Ferrari F-40’s unveiling. Though the principals of both companies have passed, the now classic Italian alliance of speed and design could never be stronger. Very productive during the 1990s, as well as the 2000s Ferrari and Pininfarina continued to develop wonderful creations. The Ferrari 360 Modena, introduced as a design concept at the 1999 Geneva Motor Show, emerged as a well-balanced piece of Pininfarina beauty and the sports car company’s mid-engined sports car mastery. Ferrari California, Ferrari 458 Italia and the innovative Ferrari FF are now the latest result of the Pininfarina’s prancing horse whispering. Spotlight Die Cast Offerings: Based on the gigantic international following for Ferrari, the auto company has prospered as much from merchandising as from vehicle itself. In die-cast form, leading die-cast companies accurately and faithfully record the love affair between Pininfarina and Ferrari. Ferrari’s history can be vividly illustrated through a $1 Hot Wheels diecast or a highly detailed Kyosho that can wear a price tag of over $500 US. Both Kyosho as well as Mattel’s Hot Wheels division feature an extensive lineup of Pininfarina designs from the 250 GT to the contemporary Ferrari 599 GTB and 458 Italia. The latter manufacturer are releasing highly-detailed accounts in 1/43 and 1/18 scale for practically every Ferrari including little known Pininfarina-designed 1960s concept, the Modulo. On diecast collectors wanting to get deeply acquainted with the manufacturing of a Ferrari but unable to afford the plane ticket to Maranello, Maisto provides an alternative. Part of Maisto’s 1:24 scale Assembly Line, several late model Pininfarina-styled Ferraris can be constructed by the collector. Supercars like the Ferrari 599 GTB Fiorano and even the Ferrari F50 can be built into showcase-quality representation of automotive design excellence supplied by Pininfarina. Traditional Hot Wheels 1:64 line routinely issues old as well as new examples of the Pininfarina-Ferrari pairing. 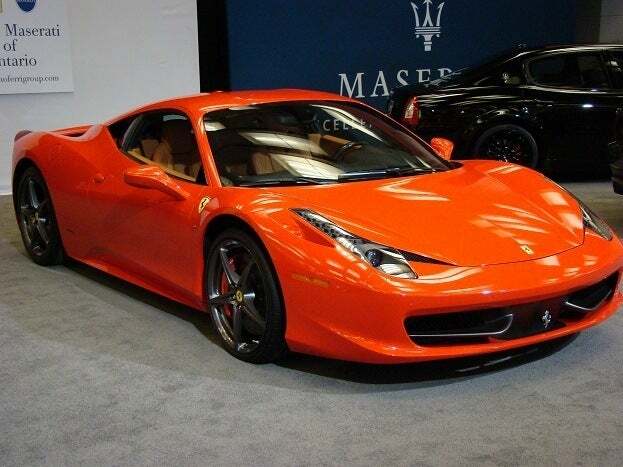 The Ferrari F430 and the 458 Italia are some of the attractive scaled representations delighting many young car enthusiasts. Following the second world war, Pininfarina entered on a rocket ride to the pinnacle of acceptance. During this era, Pininfarina established ties with a young sports car company named Ferrari (a relationship that blossomed into one of the most prosperous pairings in perhaps the entire auto industry). Italian luxury sports car builder Maserati and France’s Peugeot also collaborated with Pininfarina for the start of lasting relationships. American automobiles took a distinctive shape through the 1950s but only through drawing off international design influence. With the Cisitalia 202 an established masterpiece, American auto company Nash sought out Pininfarina in sculpting bodywork for their personal sports car, the Nash-Healey. With only 506 of these inherently expensive cars sold, the brief partnership with Nash attracted appreciation from most discriminating eyes across the Atlantic Ocean. One of the most distinguished set of eyes in North America at this time belonged to General Motors styling Czar Harley Earl. Two defining designers shared a mutual admiration was so close that is wasn’t uncommon to see General Motors touring Pininfarina’s facilities and vice versa. 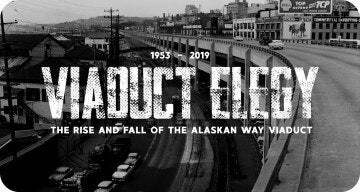 This friendship led to the bodies of exceptionally elite 1959 Cadillac Eldorado Brougham being assembled by Pininfarina in Italy. Apart from production runs, General Motors vehicle came with this European interpretation for several vehicles including the famous 1963 Corvette concept known as the Rondine. Back in Europe, Pininfarina returned to prewar relations with Italian automakers Lancia, Maserati, Fiat, and Alfa Romeo. Through the 1950s and 1960s, a slew of Pininfarina-designed roadsters would charm the youthful hearts of new drivers. The Alfa Romeo Giulietta spider became the first postwar small convertible to bewitch the carefree fanfare with the sporting grace of much more expensive vehicles. At roughly the same time in 1966, Alfa Romeo and Fiat would both receive their own unique but equally remarkable 2-seat roadsters. The Alfa Romeo Spider crescent shaped silhouette proved so lovely that it continued production up to 1993 without alterations. For Fiat, they also enjoyed long-running fanfare for their roadster. 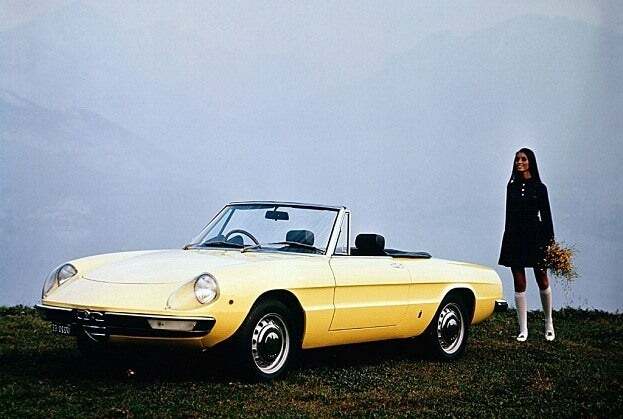 With 200,000 sold in a 19-year run, the Fiat 124 Sport Spider meant so much to Pininfarina that the design company itself imported the Fiat Spider for sales to the United States briefly, wearing Pininfarina coat of arms. Retailing for $105.00, Brooklin manufactures a very detailed version of the 1953 Nash-Healey in 1:43 scale. To date, the story of Pininfarina and General Motors’ collaboration has yet to be told faithfully through the die-cast industry. Now defunct, Italian die-cast maker Mebetoys presented replica Chevrolet Corvette Rondines in the late 1960s. These Mebetoys can occasionally be located on Ebay. However, with the surviving, real life Corvette Rondine being hammered away at the 2008 Barrett-Jackson auction for 1.6 million dollars, that and the other GM Pininfarina cars may shown be presentable for scaled exhibitions. From AUTOart as well as Sunstar, 1:18 scale representations for the Fiat Spider translates even the smallest switch on the dashboard. By the 1970s, Pininfarina has come a long way from their quaint public appearance at the postwar Paris Auto Show. In less than 30 years, stylistic pipelines through Europe rushed with Pininfarina inspiration. Bringing glam to the auto industry throughout a golden age, Pininfarina’s design services would face a growing challenge. As the love affair with the automobile turned into a spiteful hatred as new emission standards forced reduction on performance and aggressive safety regulations placed limitations on car shaping. Pininfarina’s skill in design made the best of the new styling constraints to in fact flourish. Peugeot and Maserati remained steady customers along with their long-running relationship with Fiat Group auto companies (Fiat, Alfa Romeo as well as Lancia) and Ferrari. One of the crowning achievement for Pininfarina within the disco era was the Lancia Beta Montecarlo Turbo. Bred as a race car to compete for world endurance championships, the Beta Montecarlo excels combining function with beauty thanks to Pininfarina’s newly acquired full-sized wind tunnel. 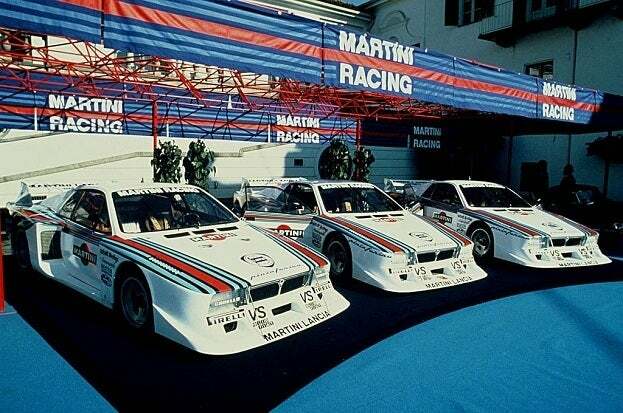 Winning championships in 1979 and 1980, the Lancia Beta Montecarlo was campaigned briefly under the famous Martini Racing livery before retirement. As Pininfarina entered the 1980s, their company attracted the first association with the than emerging Japanese auto industry. Commissioned by Honda to create a design study around their Formula 2 racing V-6 engine, Pininfarina sculpted the two-seat HP-X sports car. Existing as a mid-engined sport car, the Honda HP-X design prototype was arguably the precursor to the Acura NSX supercar. A renewal in Pininfarina’s relationship with General Motors in the late 1980s created another Cadillac. Introduced in 1987, the Cadillac Allante was elegantly tailored fight the Mercedes-Benz SL for personal luxury convertible sales with bodywork outsourced to Pininfarina. Deemed overpriced and unworthy of true sports car honors based on its front-wheel drive, the Cadillac Allante was largely a failure by General Motors to branching into the ultra-luxury market. However, today the Allante has earned a fair share of fans admire this Pininfarina car as a charming interpretation of late 80s Cadillac. Best Models as well as Minichamps produce several race and road versions of the Lancia Beta Montecarlo. Amongst Best Models’ pieces of 1/43 scale Beta Montecarlo is the replica 1980 Martini Racing 2-car limited release set wearing Pininfarina’s logo on the hood. As for the Cadillac Allante, discontinued Majorette examples can be readily found for around $2-6 dollars. Celebrating 80 years in 2010, Pininfarina is still a family-operated design house, Renowned for artistic excellence even beyond the auto industry, their styling grace with cars and trucks still generates the most fanfare. Growing from a small factory on the outskirts of Turin, over 3,000 employees serve many faucets of industrial design with now a third generation Pininfarina. With focus on automotive design restored, Maserati in recent years trusted Pininfarina to redesign and redefine their brand to the world starting with a Quattroporte sedan. Taking large inspiration from personal sports cars, the Quattroporte takes four-door luxury to an uncompromised level of perfection. 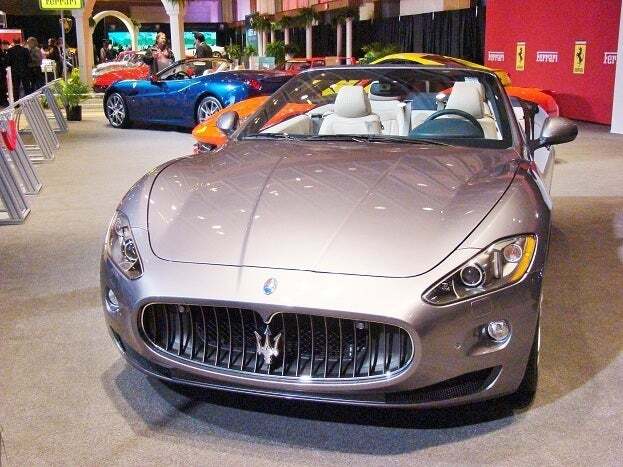 Shortly following the warm Quattroporte’s debut, Pininfarina gave form to the Maserati GranTurismo. Bringing the best elements from the trident-brand automaker’s best vehicles, the GranCabrio (known as the GranTurismo Convertible in North America) was introduced in 2010 as the latest continuation of Italian companies. In recent years, Pininfarina has reverted into a full circle recovery to the 1960s sport convertible glory through cooperation with Ford. Started with the bread and butter European-marketed Ford StreetKa which sold 37,000 units between 2003 to 2006, Ford and Pininfarina utilized advanced computer design and simulation technology to quickly adapt a sporty, sub-compact convertible. Since 2006, the international Ford Focus added a Coupe-Cabriolet hardtop which is built in Pininfarina’s Bairo production plant through a technical partnership. Premiering at the 2008 Geneva Motor Show, the Pininfarina Sintesi is a design study into applications for new age powertrains. Envisioning the future of alternative power vehicles is not a new thing for Pininfarina. Since a 1978 cooperative effort with Fiat resulting in the Pininfarina Ecos, a series of electric cars have been conceptualized. The Sintesi, developed on a process Pininfarina calls “Liquid” Packaging, unconventionally allows fuel cell drivetrain to fully compliment the Sintesi’s aerodynamic form instead of accepting vehicle design limitations by mechanical hindrances. With the styling practices demonstrated in this bold concept, Pininfarina integration into an automotive future is evident with every Sintesi’s curve. As auto companies exploit the emerging Chinese and Indian markets, Pininfarina has entered partnerships in new territories. Involved with China’s Chery and Brilliance auto companies, the Italian artisans have since claimed nearly one-third of the country’s auto design business. 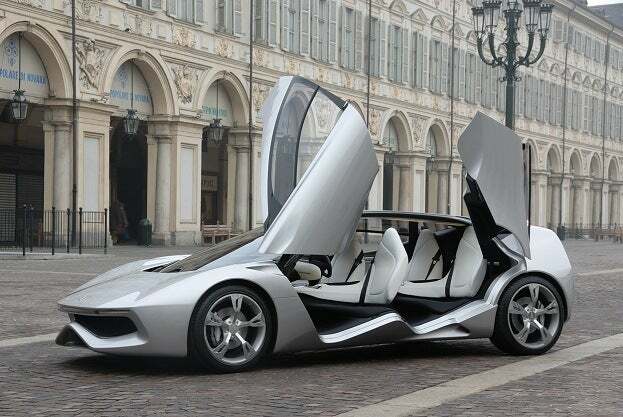 Pininfarina is also entered in a design collaboration with India’s Tata Motors. The Tata Pr1ma, a sedan shown at the 2009 Geneva International Motor Show, is the first vehicle blending Italian styling into an Indian-focused product. Appearing in a massive 1:18 scale, Hot Wheels representation of the Maserati Quattroporte provides the next best thing to seeing Pininfarina’s actual creation. Maserati GranTurismo coupe is also available in 1:18 by Mondo Motors die-cast wearing one of two colours. Prices for owning these two miniaturized Maseratis fall under the $100 range. For a more frugally minded die cast collectors, a Ford Focus is recently released by Minichamps. While the full-sized Pininfarina creations vividly pomps automotive art mastery, scaled representations of their famous Ferraris, Maseratis, and other cars repeatedly preserves the four-wheeled subject. Die-cast form is a the leading three-dimensional bask on the essence of each Pininfarina vehicle’s every emotion. Information source: Maserati, Minichamps, Pininfarina S.P.A.
No Comments on "Pininfarina History in Diecast Form"